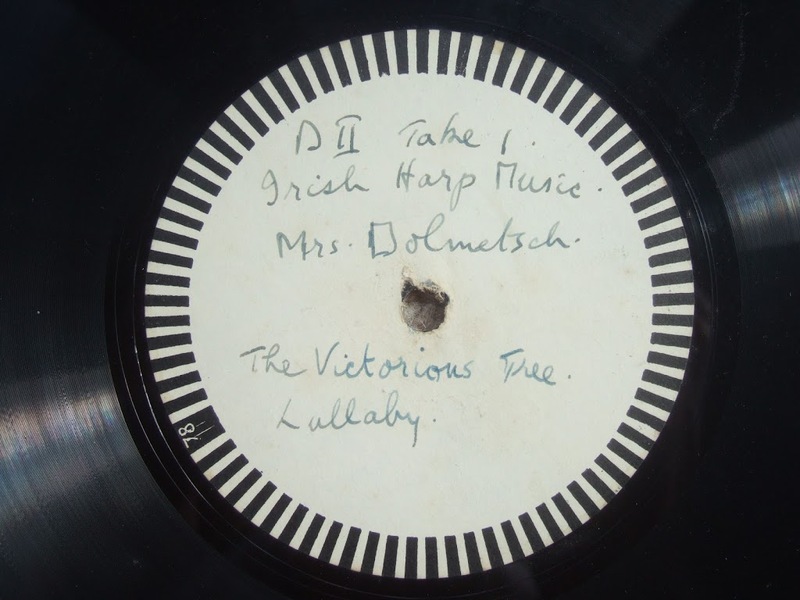 I have digitised the first of the three sides I have of these old Dolmetsch transcription discs. I chose the “test” side to do first as I assumed it would be the least interesting. Then we have three tracks of Mabel playing the early Irish harp. Two of them are fragments of An Seann Triucha (the Old Trugh) – from Bunting’s Ancient Music of Ireland, 1809, p.6. I do not recognise the third track. I wonder if it is some Welsh music from Robert ap Huw. This morning I was up Drumcarrow Craig. 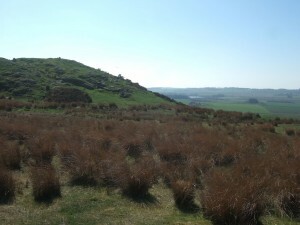 There are great views of the whole of East Fife and beyond. 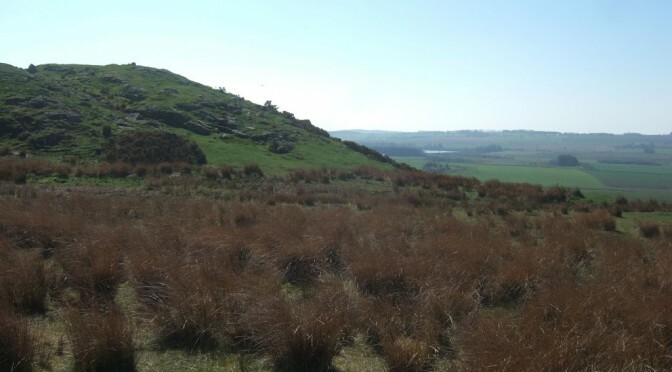 I looked for the prehistoric hut circles marked on the OS map but I didn’t find them. However the ruins of the broch next to the trig point are very clear to see – must have been an impressive tower standing right on the highest point. The oldest recordings of early Irish harp music? I have acquired two discs which I think might be the oldest recordings of early Irish harp music, recorded in April 1937. I have not yet played them to hear what is on them – I am still trying to source a suitable stylus for my turntable. 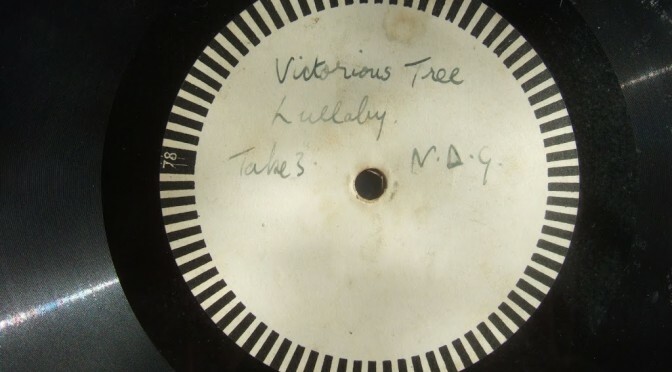 They are one-off lacquer gramophone records, also known as transcription discs – the 1930s equivalent of a cassette tape, for direct recording as a one-off copy. These are not reproductions or duplicate pressings so are almost certainly the only copies that exist of these takes. These records came from a collection of Dolmetsch discs, tapes and papers. Some of the other discs indicated that they were recorded by L. Ward. Arnold Dolmetsch made a number of harps, both small gut strung instruments as well as the early Irish harps modelled on the Queen Mary harp and Trinity College harp, and fitted with metal wire strings. Mabel used them mainly for exploring the medieval Welsh repertory preserved in the Robert ap Huw manuscript, and in 1937 they released a set of gramophone records with an accompanying book of sheet music “translated” from the manuscript. 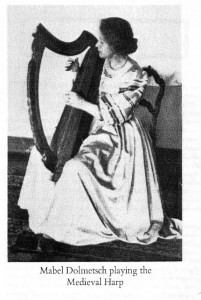 Mabel played this Welsh music on the wire-strung Irish harp, and her performances and Arnold’s editions proved very influential; Alan Stivell included performances of these versions on his LP “Renaissance of the Celtic Harp”. However I did not know until now that Mabel had also experimented with Irish repertory. “An Bile Buadhach” (The Victorious Great Tree) comes from Edward Bunting’s 1809 collection; it was collected by Bunting from an unnamed informant “at Lord Clanbrassil’s” house, Tollymore Park, co. Down, “in 1793”. When I get the correct stylus for my turntable I will play these discs once, digitise them and present them here for you! 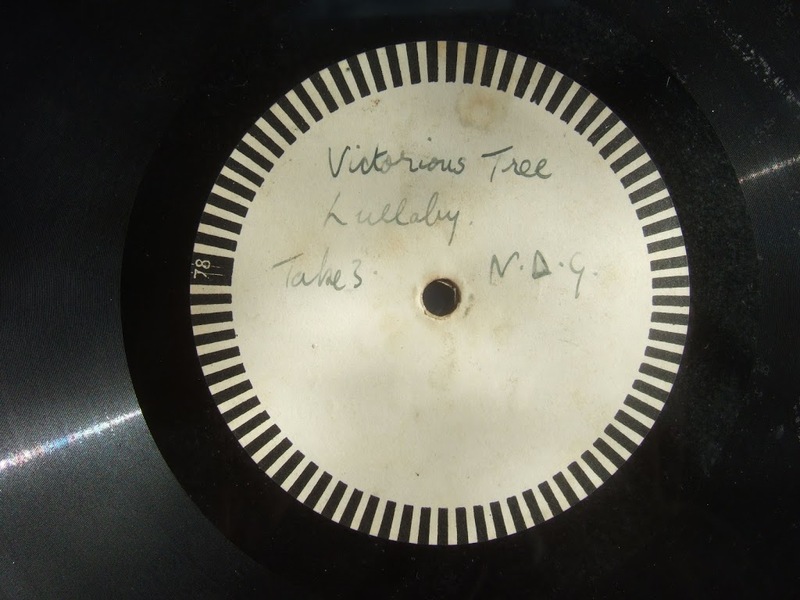 I am not going to put them on the gramophone machine – I understand that these transcription discs are extremely fragile and wear out very quickly from only a few plays. Posted on 1st May 2013 5th October 2014 Categories recordingsTags archive recordings, Dolmetsch3 Comments on The oldest recordings of early Irish harp music?